A view at the A847 from Bridgend out to Port Charlotte, Islay House (not visible) behind the wall and trees on the right. Gorse bushes in full bloom provide colour on an early spring day. 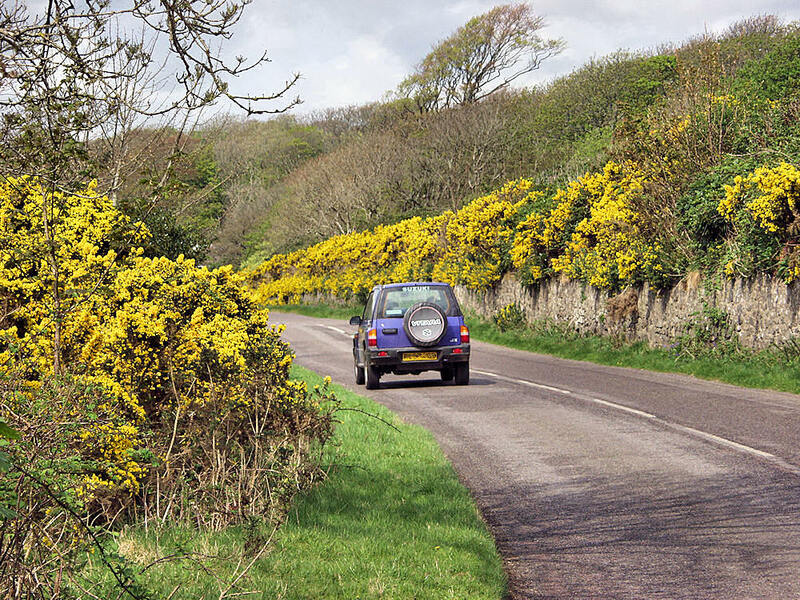 This entry was posted in Cloudy Weather, Landscape, Repost, Sunny Weather, Village and tagged Bridgend, Gorse, Islay by Armin Grewe. Bookmark the permalink.